So I have a Level 30 LoL account and I was trying to get my buddy used to the game. He has played a couple dozen matches at his low-level Elo (ranking system), so I wanted him to get used playing versus better opponents. So we duo-queue and team up with a Xin Zhao who warns us that he becomes legendary if the other team is not fed (given a lot of gold by kills). First warning. If you ever see a player type that, they are some God-blessed newbs. So the game starts out fine. I play as Vladimir, a great tanky-spellcaster full of harassment, damage, escape, and fully capable of making enemies frustrated (fun, right?) My buddy plays as Ashe, a great carry and decent tower killer. Xin Zhao starts off with an attack speed item. I do not know why we continued playing at that point. I mean, who does not start with boots + 3 pots in a 3v3? Not even a Doran's? I get First Blood (of course) and proceed to dominate top lane, outlaning Poppy, and successfully ganking bottom a couple times. Then Xin gets cocky. He goes off on his own, dies several times in between getting assists from my ganks. Eye for an eye right? Nope, he continues to go off soloing the enemy team. And you know what? He isn't even mad or cautious or trolling. A guy who legitimately thinks he can take on 3 at once 30 minutes into the game. Then he stops moving at the turret we were defending. Then he disconnects. Two choices arrive: surrender, or attempt to win. As Vladimir, surrendering isn't an option. Buddy and I actually Ace them at one point, push a little, get pushed back. 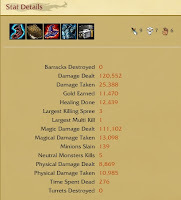 But versus a Poppy, Leona, and a Rammus, our poor turret didn't stand a chance. Why Xin, why? We could have won if you just defended turrets while Ashe and I murdered! And that is one option for spending some downtime in college. The end. Also, here are the champions I can play if you want to friend me, ecstaSTEVE. Not great with Anivia, but Alistar...oh man. 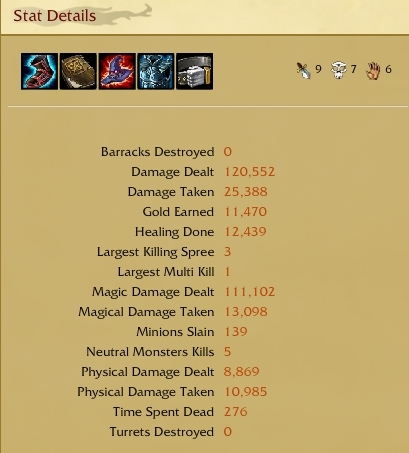 This entry was posted on October 4, 2009 at 12:14 pm, and is filed under computer, games, League of Legends . Follow any responses to this post through RSS. You can leave a response, or trackback from your own site. Nostalgia? Play Number Munchers Now!